The Sub-Antarctic Biocultural Conservation Program works with the Center for Environmental Philosophy, Universidad de Magallanes, and other institutional partners to foster the growth of a Pan-American Environmental Ethics dialogue. Environmental problems, research, and solutions span transnational boundaries. The Pan-American Environmental Ethics approach and research area promotes a cross-cultural dialogue between the southern and northern hemispheres of the Americas. The University of North Texas' Department of Philosophy and Religion Studies is home of the nation's leading Doctoral Program in environmental ethics and philosophy, and the nation's first Masters Program in the field. Areas of specialization in UNT's Department of Philosophy and Religion Studies include philosophy of ecology, environmental policy, environmental justice, religion and nature, environmental education, philosophy of science and technology, environmental aesthetics, philosophy of water, land ethics, eco-phenomenology, eco-feminism, traditional ecological knowledge, and environmental restoration. The Center for Environmental Philosophy publishes the journal Environmental Ethics, reprints important books through its book series Environmental Ethics Books, promotes environmental ethics research through workshops and conferences, and promotes graduate education in the field of environmental ethics. The CEP has published a special issue of Environmental Ethics and occasional papers on South American Environmental Philosophy. The Universidad de Magallanes has prioritized research in the extreme austral tip of the Americas, including Patagonia, the Sub-Antarctic Archipelago, and Antarctica. 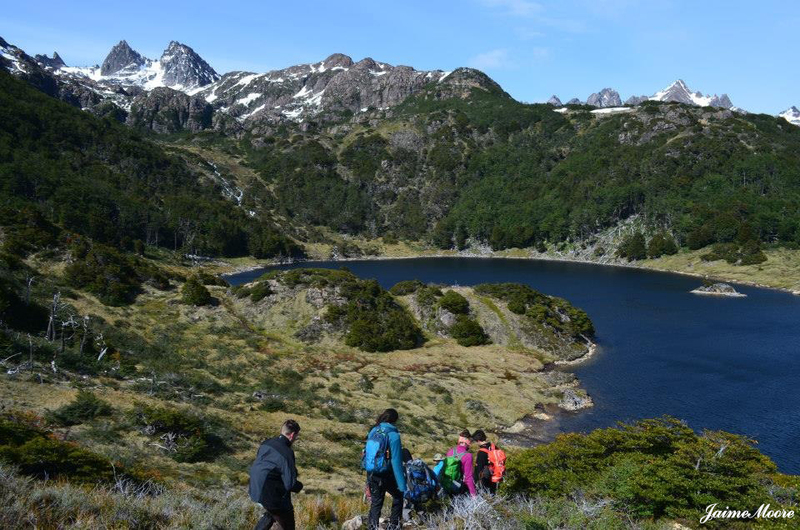 UMAG has created a Masters of Science program in Conservation Management of Resources in Sub-Antarctic Environments which focuses work in the Cape Horn Biosphere Reserve. The programs and projects at these institutions work to share common research goals, promote collaboration in a Pan-American context, and enhance a south-north, biocultural and multilingual dialogue. Biocultural ethics offers an approach to research and discover the importance of the biological and cultural diversity in various, diverse regions. Latin American environmental philosophy and Pan-American environmental ethics allow us to open ourselves to a dialogue of diverse forms of knowledge, while explicitly including Amerindian cultures as important participants within the dialogue. The biocultural Pan-American approach allows for a diverse multi-cultural and cross-cultural understanding about the similarities and comparisons of biological and cultural interactions across the northern and southern hemispheres of the Americas.